The second night I was in Tokyo I went to a Ministop convenience store near the apartment I was renting in Nakano 5-chome to buy some beer. 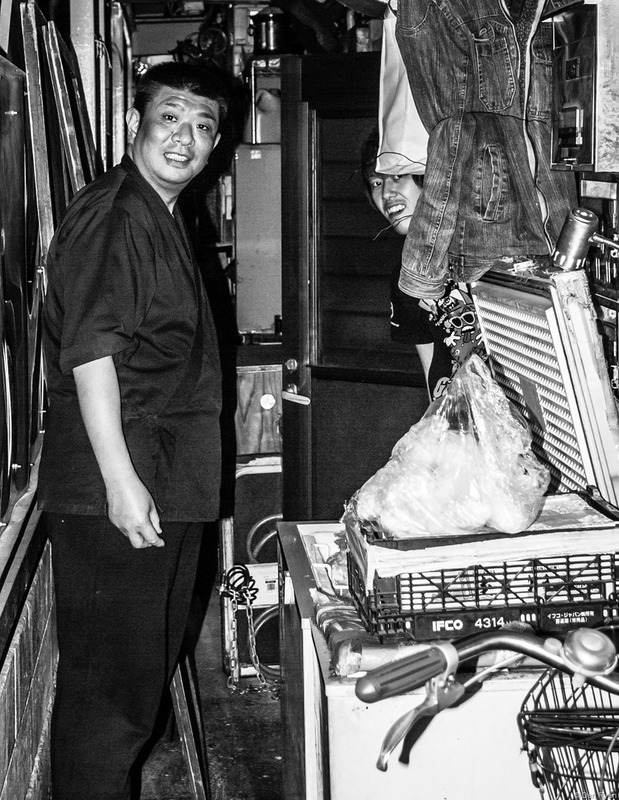 Nearby I saw these two men in a grubby alley behind an izakaya, probably taking a break from their jobs in that restaurant. Actually, I saw the guy on the left. I didn’t notice the other man until I saw his face floating in my photo when I analyzed it on my computer about half an hour later. 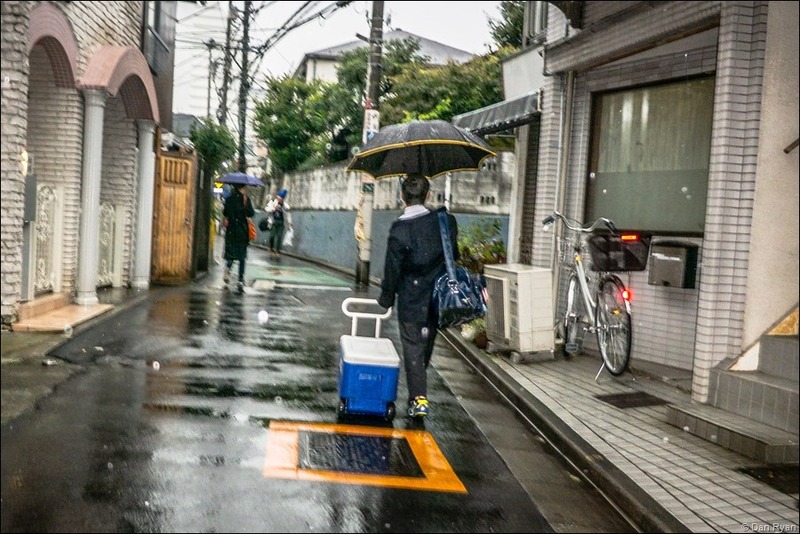 It was a dark morning in Tokyo and had been raining for most of the night. 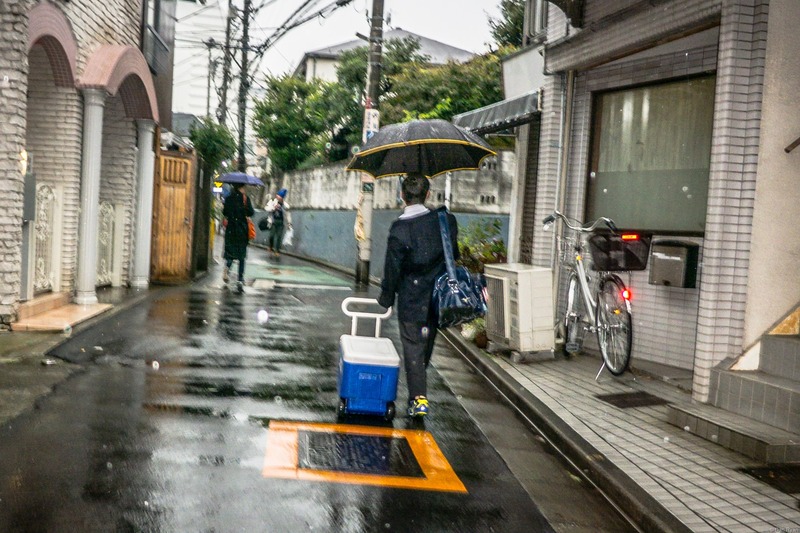 On my way to a Ministop convenience store to buy some natto maki and an egg salad sandwich for breakfast, I spotted this kid who was dragging a huge cooler through the rainy streets. We were headed the same way so I ended up following him for several hundred yards. Pulling the cooler while juggling the umbrella and huge shoulder bag made the kid stop a few times to redistribute and manage his burdens. Finally while passing a small park he stopped long enough for me to take his picture. 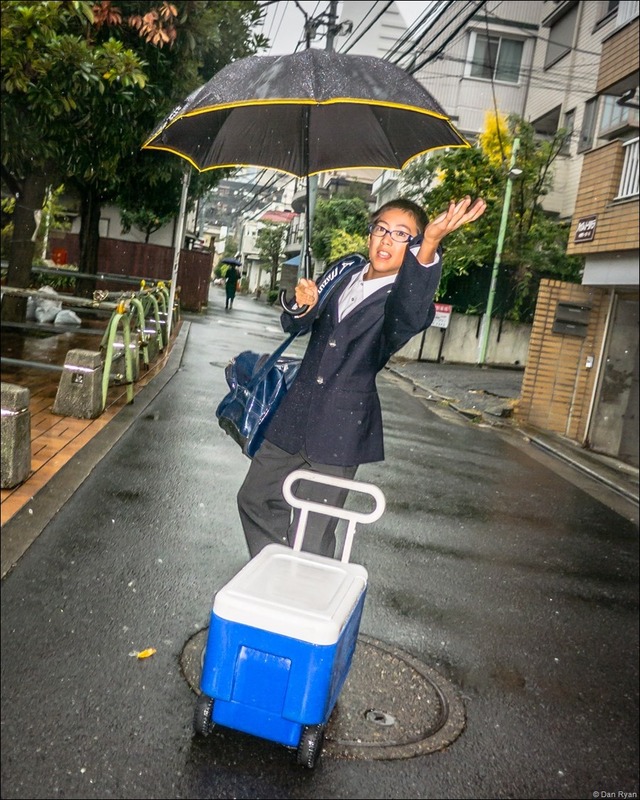 I was also going to offer to help him schlep the cooler to wherever he was going. 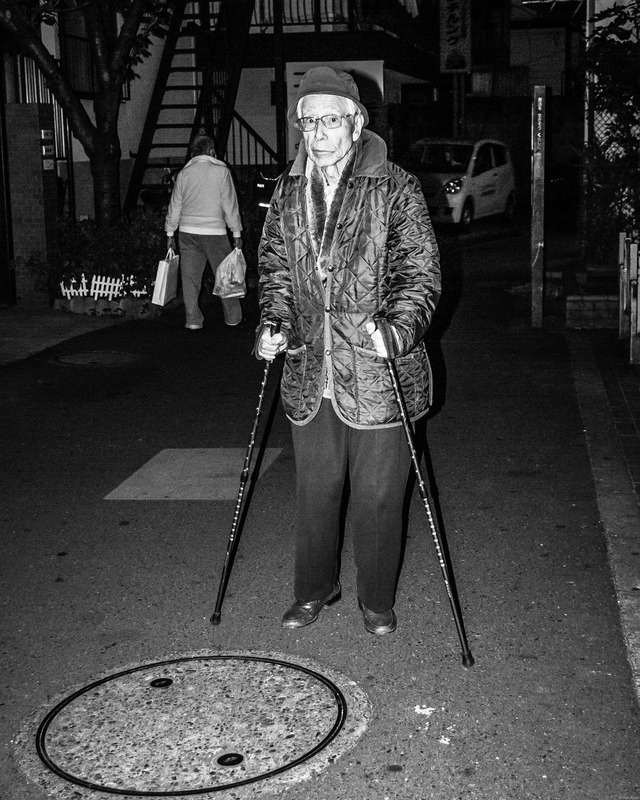 But when he saw me as I snapped this photograph he barked a string of Japanese words which included “no way” and “foreigner”, and I knew immediately that there was no point in trying to offer my help.